On the occasion of World No Tobacco Day various initiatives were launched by the department that related to social media. Creatives for Facebook and Twitter and blogs on the Fortis Healthcare website were a part of the campaign. 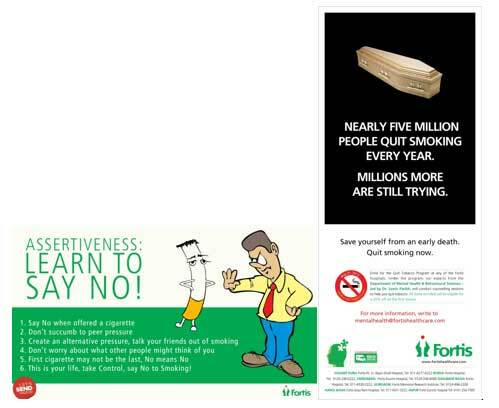 Displays pertaining to the use of tobacco and its impact were placed at various Fortis Healthcare facilities. A week long Twitter poll was conducted to test for the knowledge and understanding that individuals have regarding tobacco and its usage.